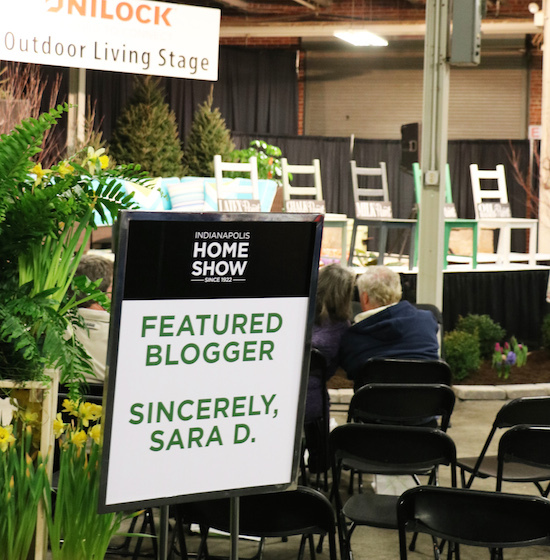 The Indianapolis Home Show - Sincerely, Sara D.
Oh, guys! I had a crazy, exciting, stressful, fun, and exhausting couple of days! 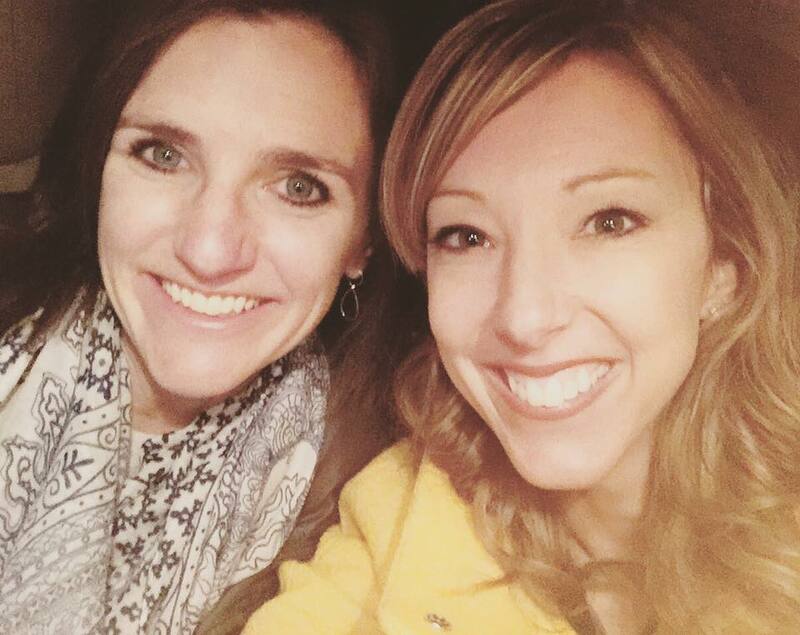 I am naturally more introverted (blogging is great because I can sit behind the screen), and I do not love to be the center of attention in any way. However, over the past few days I conquered my greatest fears. 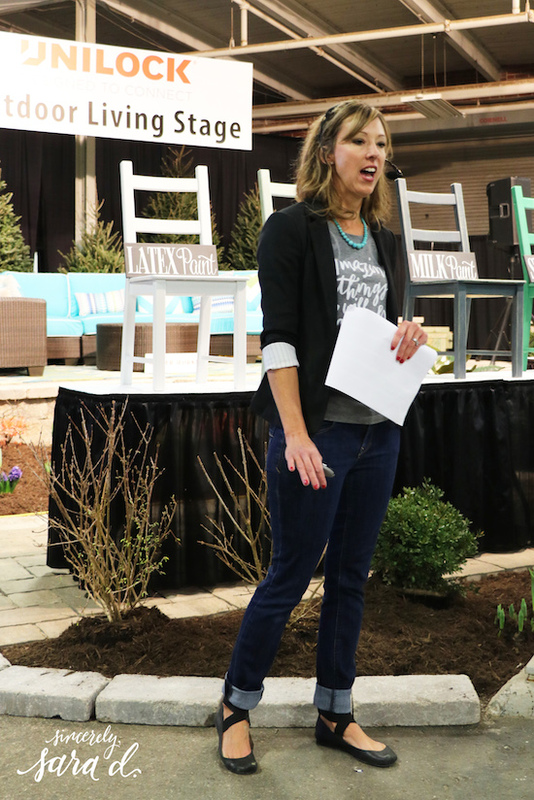 If you have been following me, you’ve probably hear me mention that I was speaking at the Indianapolis Home Show. 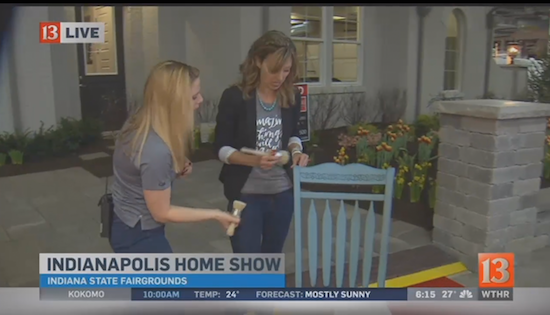 I was already a bundle of nerves on Friday (I was scheduled to speak Monday and Tuesday), when I received an email about appearing on the early morning news Monday. My first thought was to run or pretend like I hadn’t seen the email. However, I came to my senses and realized this is something you don’t say no to. It was another way to stretch myself and a great way to face my fears head on. So, I did it! 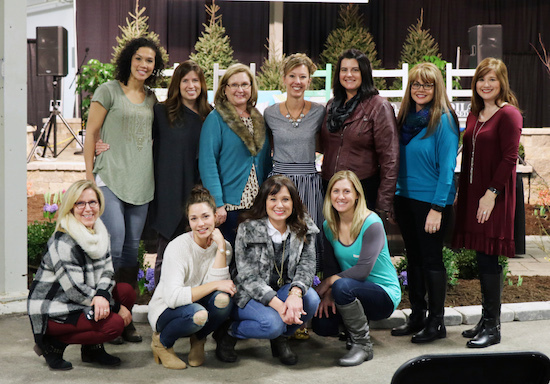 I woke up at 2 am and headed to the Indianapolis Fairgrounds to the site of the home show. I’m so thankful for friends like Jenny. This girl got up crazy early to support me, calm my nerves and pray with me. I’m so glad I did it. 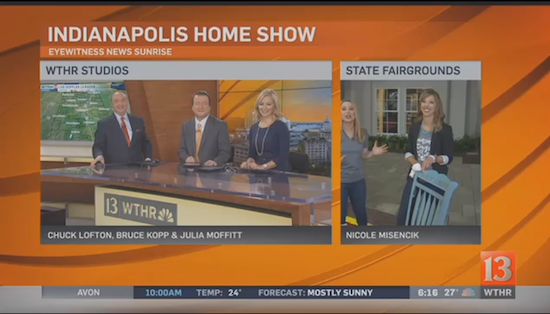 It ended up being fun, and I had the best news anchor to lead me! 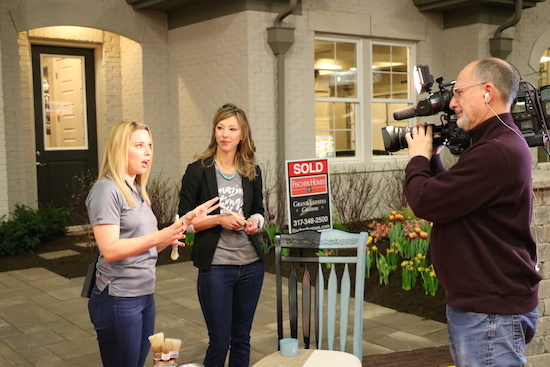 To see a clip of from the news, click HERE. From there, I went back home and was back in time to put my kids on the bus. Then, after lunch, my mom and I picked up my friend Angela from Unexpected Elegance and headed back to the Home Sh0w. The great thing about doing live TV before my presentations is that suddenly a planned speech was not nearly as nerve-wracking as it seemed before. I survived the first two presentations despite some technical glitches with my headset and powerpoint. 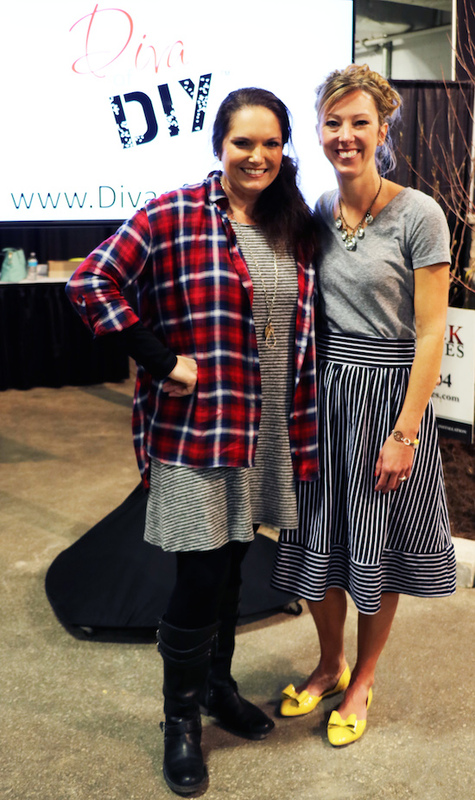 On day two I had the privilege of sharing the stage with the Diva of DIY, Leanne. This girl is not only crazy talented but she is SO nice! Day two went much better without the technical issues (and notice I ditched the notes). Tuesday was also filled with amazing friends and families who came to listen and support me! 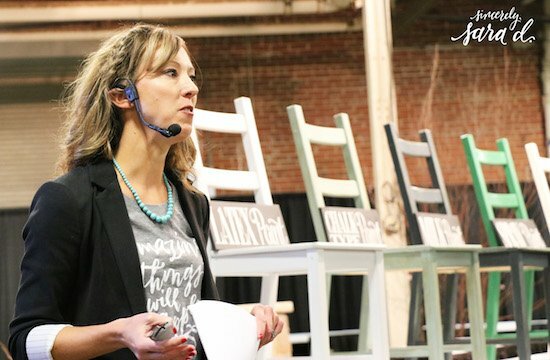 I am so proud of myself for doing it – I spoke to a crowd AND survived! Congrats on conquering your fears! I am so bummed that I missed the show. 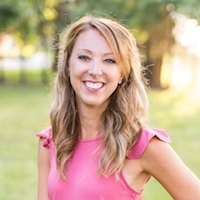 It sounds like your session would have been right up my alley! Thanks for sharing your experience. Looks like it was a success! 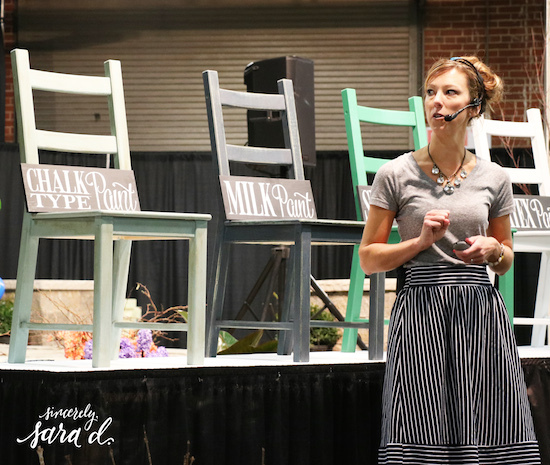 I have dabbled with chalk paint once before, and can’t wait to try out those other paint types in your photo. 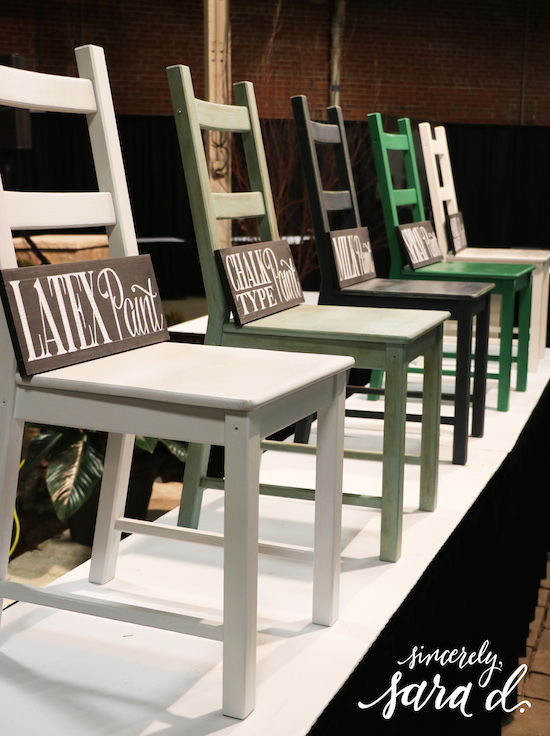 I’d love to check out milk paint and white washing at some point! Thanks, Jessica! I’m in the middle of a series on using 5 different types of painting furniture. I’ll add the link to each of paint tutorials once they’re published. 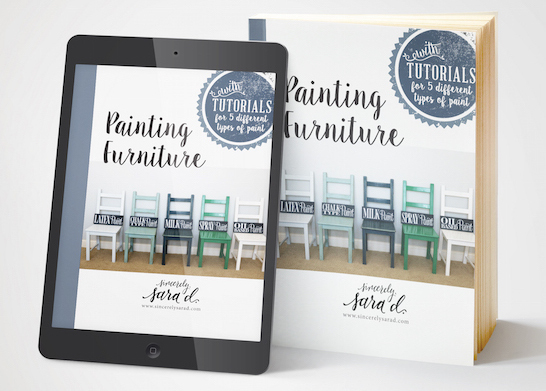 You can see more here –> https://www.sincerelysarad.com/painting-furniture-tutorial-series/ Thanks for your comment and good luck on your projects! 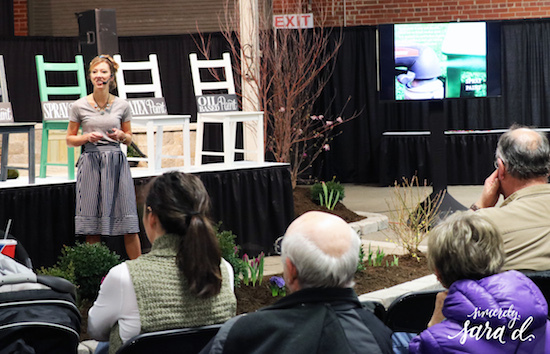 Congratulations, Sara, on your presentations at the Indianapolis Home Show. It Would be inimidating to do what you did, but I bet you were terrific. You have faced the fear of speaking and have improved confidence for the next time you are presenting. Well done! Thanks for the kind words and taking the time to comment. I appreciate you, Sandy! Congratulations, Sara! What an awesome feeling it must be to overcome that fear. I wish I could have been there to support you. 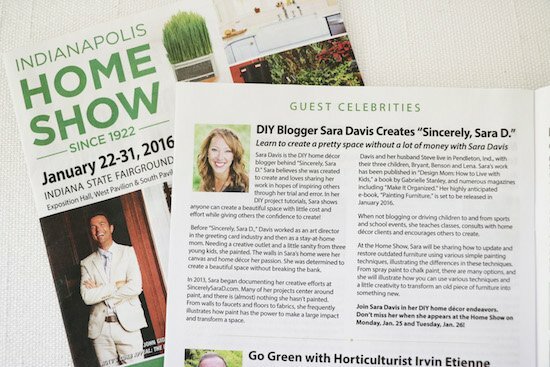 My husband and I were at your show at the Indianapolis Home Show. You did an outstanding job! I got a lot of great information from you. I was particularly interested in finding out more about painting fabrics. We stayed after the show awhile and talked to you. You were so gracious and helpful! I haven’t had a chance to try it out yet, but every time I pass the 2 pieces of furniture that I want to redo, I think of your suggestions and I get excited to try them. I just ordered your eBook “Painting Furniture”. Love your website and the free printables. Thanks so much for taking the time to comment and for the kind words! Don’t hesitate to email me with any questions, and thanks so much for ordering the book. I hope it’s helpful and gives you the confidence you need to get started on some projects! Take care and enjoy the rest of your week. Thanks again!